With all the hype of this Matte Lipstick, I just had to get my hands on a few. After making a Million trips to Urban Outfitters on 35th Street, I finally got my hands on Wicked though no Cashmere 😦 I even checked on eBay and saw the Cashmere Velvetine at $89.00!! 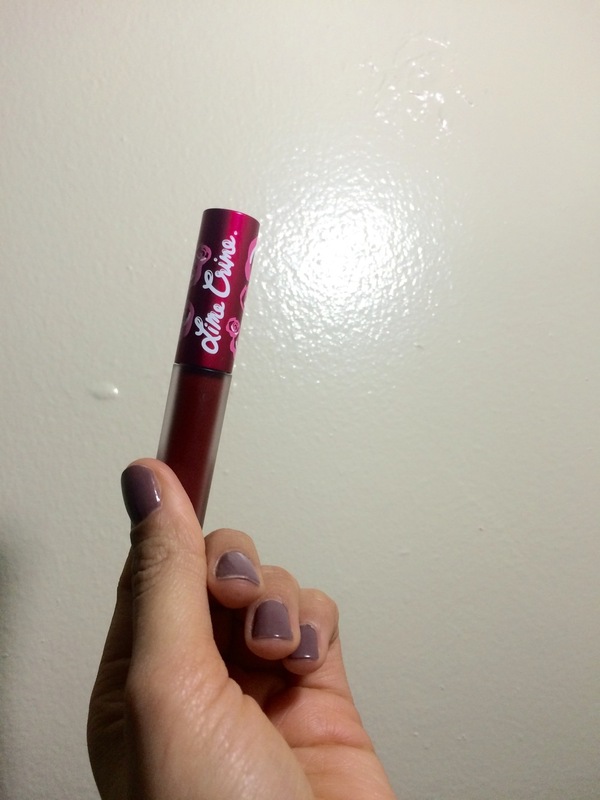 With a few hours of research, I discovered that Lime Crime was to re-release Cashmere (YAY) on January 5th and decided to order 2 of the Cashmere. 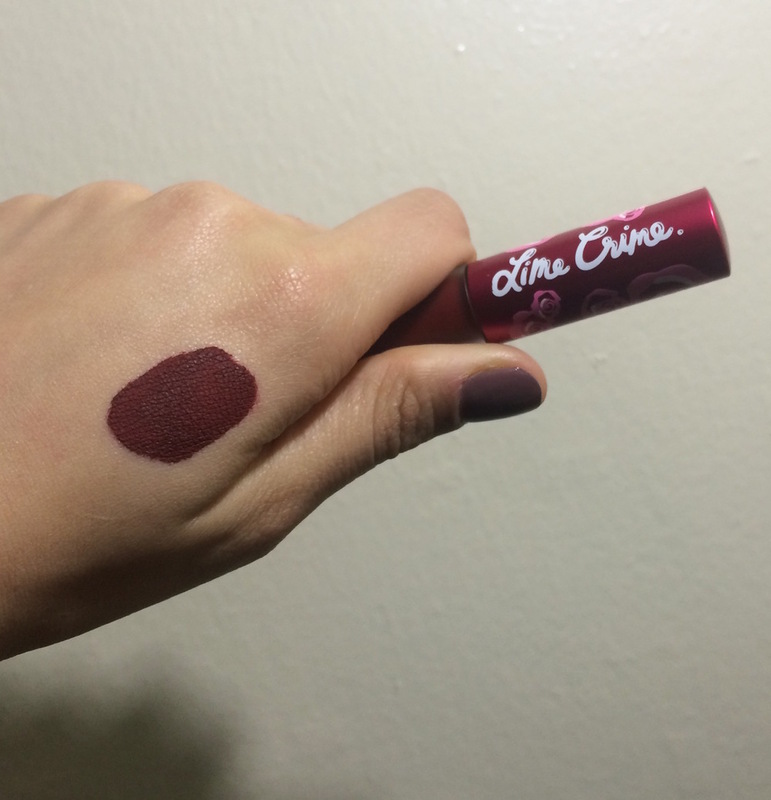 Here are the photos of LimeCrime Wicked Velvetine. I simply love the design of the lid and how the actual tube like like a foggy glass. Here it is when first applied still wet. 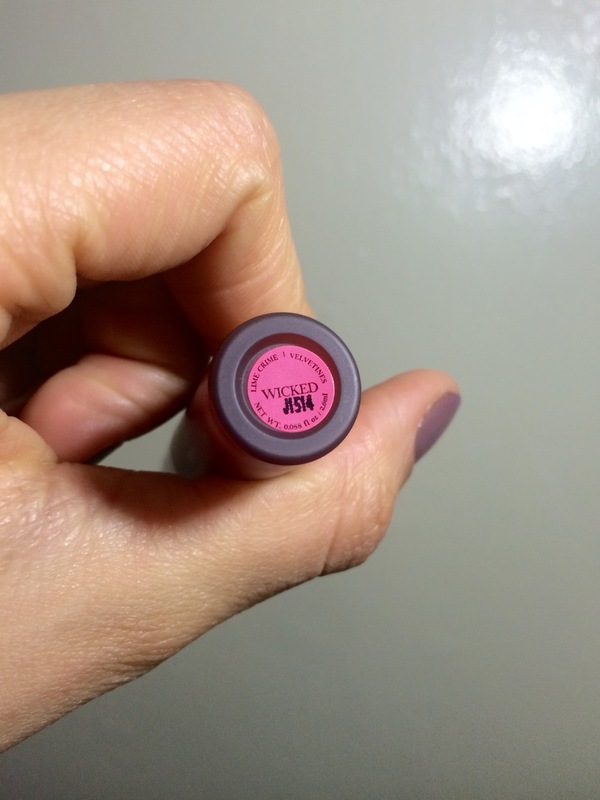 Here is the matte look when dry. Now before applying this on your lips, make sure to exfoliate your lips and remove all dead skin. You can find many lips exfoliates at Sephora such as Bliss Pout-O-Matic or Bliss Fabulips Sugar Scrub . One of my faves that I use for my face and lips would be the ST. Ives Apricot Scrub which is just simply divine. And when I finish my scrub and get lazy I do a DIY of a Oils, Sugar and Honey that can be found with any simple household product. 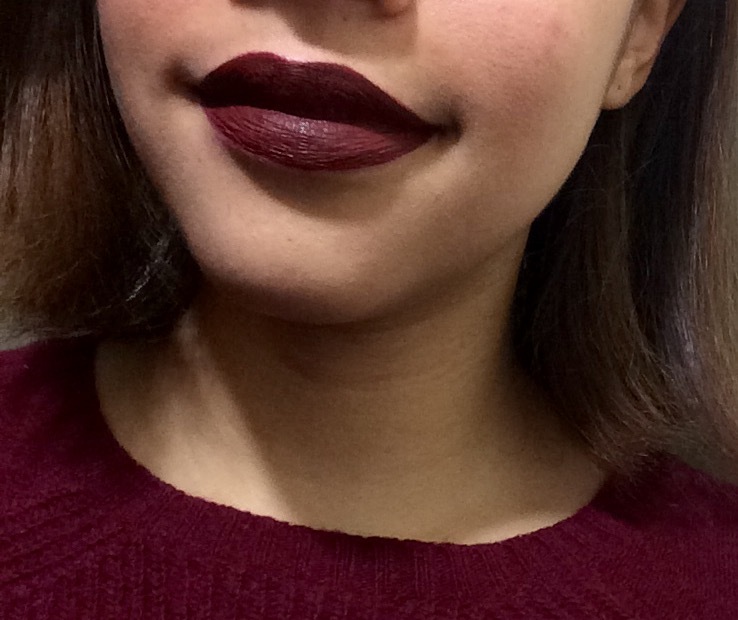 This may not be the best photo but this is me wearing Wicked Velvetine on New Years Day. 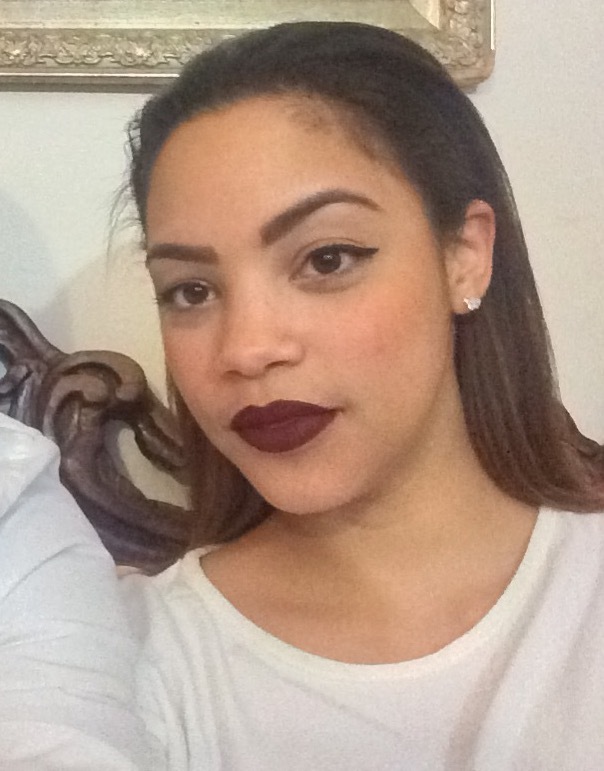 I simply adore how it looks on my skin tone and how it has a brown undertone on top of the beautiful Burgundy Red. 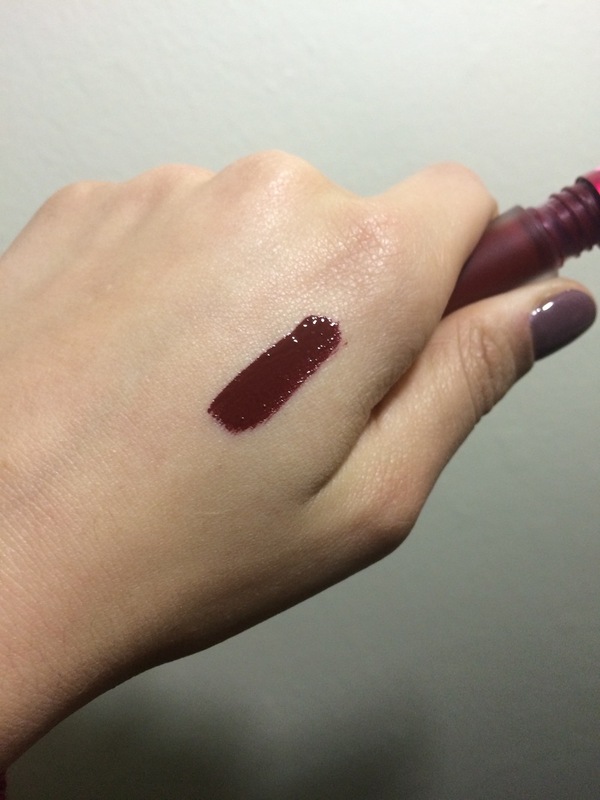 This is right after applying the Wicked Velvetine. I feel as my biggest downfall of this would be that it drys out my lips if I don’t put a layer of Moisturizer on my lips before applying the Wicked color. As I wait for my Cashmere Velvetine, Follow my Blog, Instagram and Twitter for more updates.